The Bharatiya Janata Party (BJP) on Saturday appointed Union ministers JP Nadda and Piyush Goyal as Lok Sabha election 2019 in-charge for Uttar Pradesh and Tamil Nadu respectively. 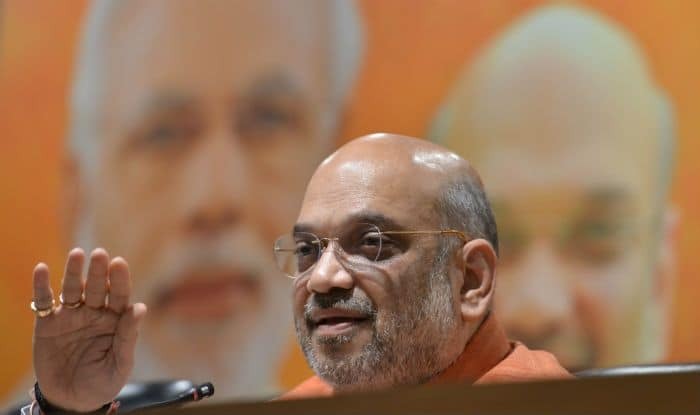 New Delhi: The Bharatiya Janata Party (BJP) on Saturday appointed Union ministers JP Nadda and Piyush Goyal as Lok Sabha election 2019 in-charge for Uttar Pradesh and Tamil Nadu respectively. The announcement came days after the party made similar appointments for 17 states. A BJP statement said Nadda, who enjoys the trust of Modi and party president Amit Shah, will be overall in-charge for the state that sends 80 members, more than any other state, to the Lok Sabha. Union minister Nirmala Sitharaman will be in-charge for Delhi, former minister Kalraj Mishra for Haryana. Avinash Rai Khanna has been roped in for Tripura, and Jammu and Kashmir but the party may appoint a more senior leaders as in-charge for these states. Goyal has been given the responsibility for Puducherry, and the Andaman and Nicobar Islands. BJP general secretary Muralidhar Rao will be the Lok Sabha election in-charge for Karnataka, the statement said. As per party sources, quoted in a PTI report, Gordhan Zadaphia, a Gujarat leader who was a critic of Prime Minister Narendra Modi before returning to the BJP, would be one of the six co-incharges for Uttar Pradesh. Notably, earlier it was reported that Zadaphia would be the Uttar Pradesh in-charge. So far, the BJP has appointed three co-incharges for the state. The Lok Sabha Elections 2019 are likely to be held in the month of April or May this year.